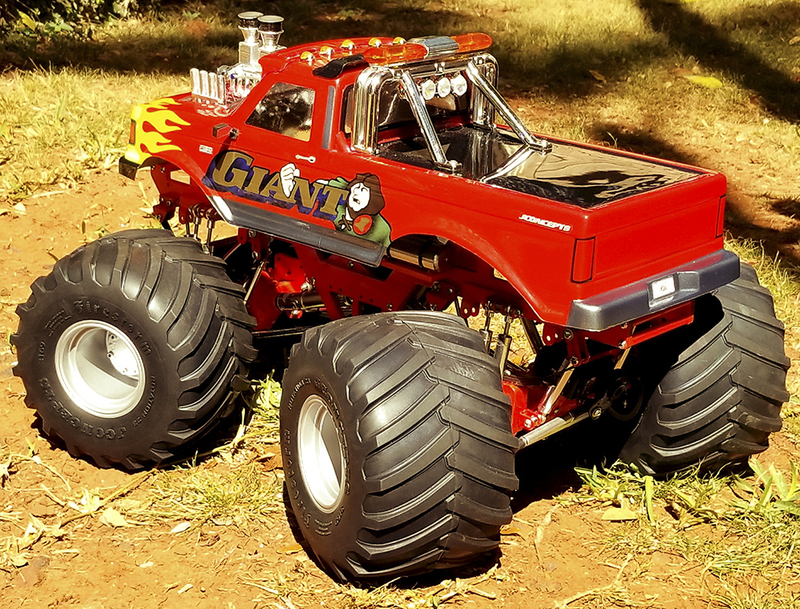 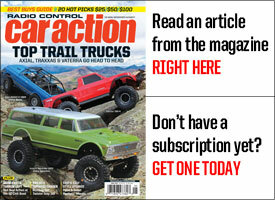 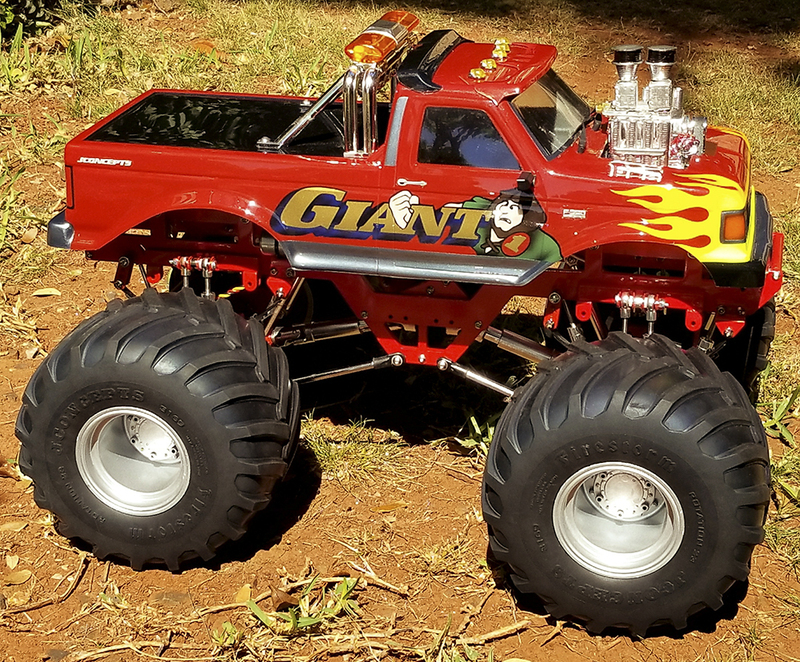 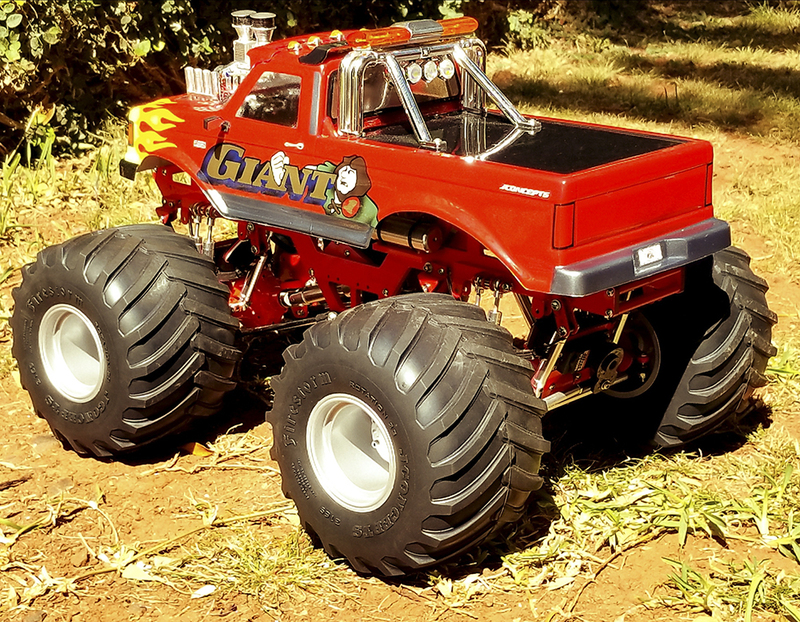 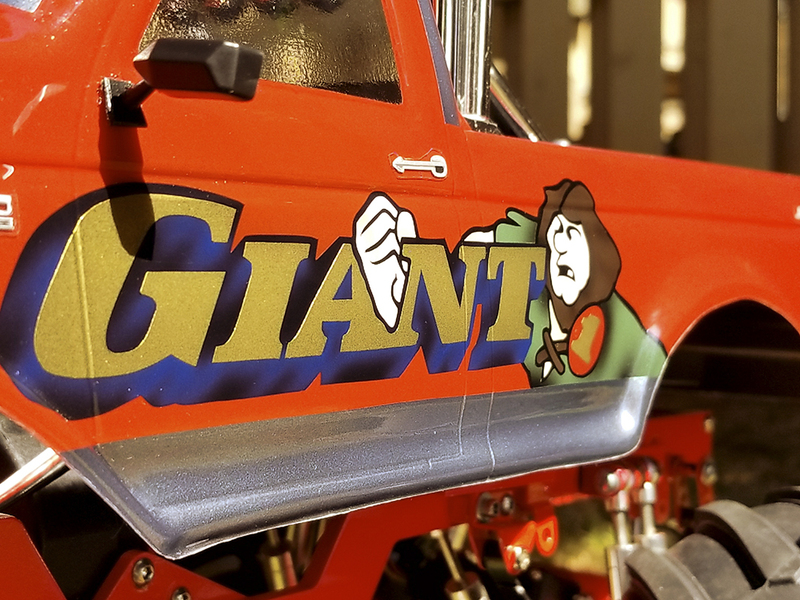 We really dig the retro look of Blake Egdamin’s custom 1/10 monster truck patterned after the old Giant 1 Ford. 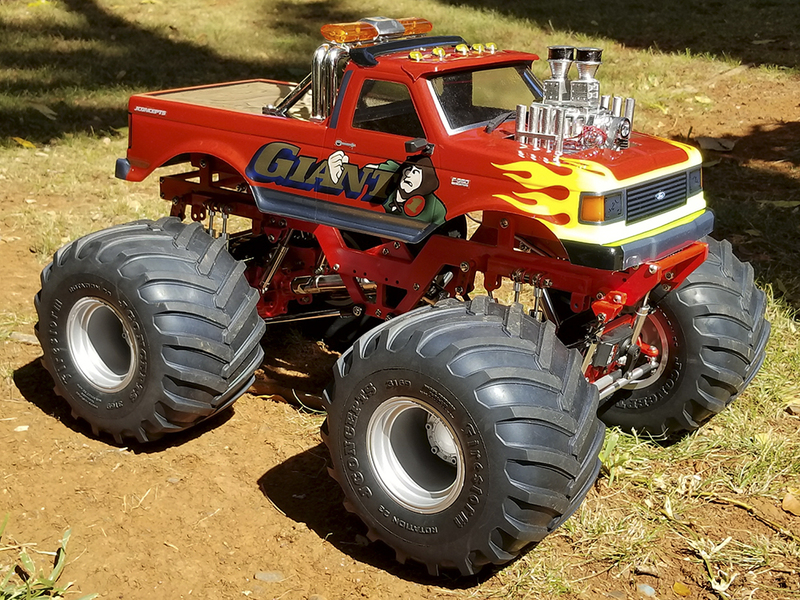 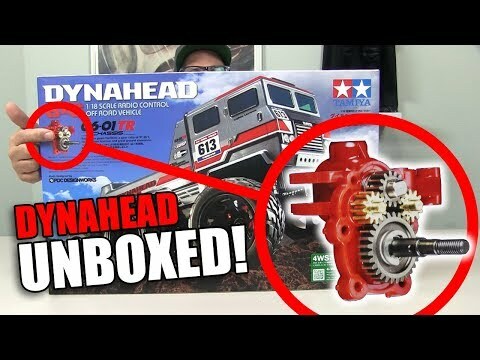 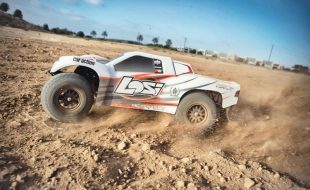 It is built off of a Grund Motorsports retro chassis and uses Tamiya Hi-Lift leaf springs with axles and transmission from a HPI Wheely King. 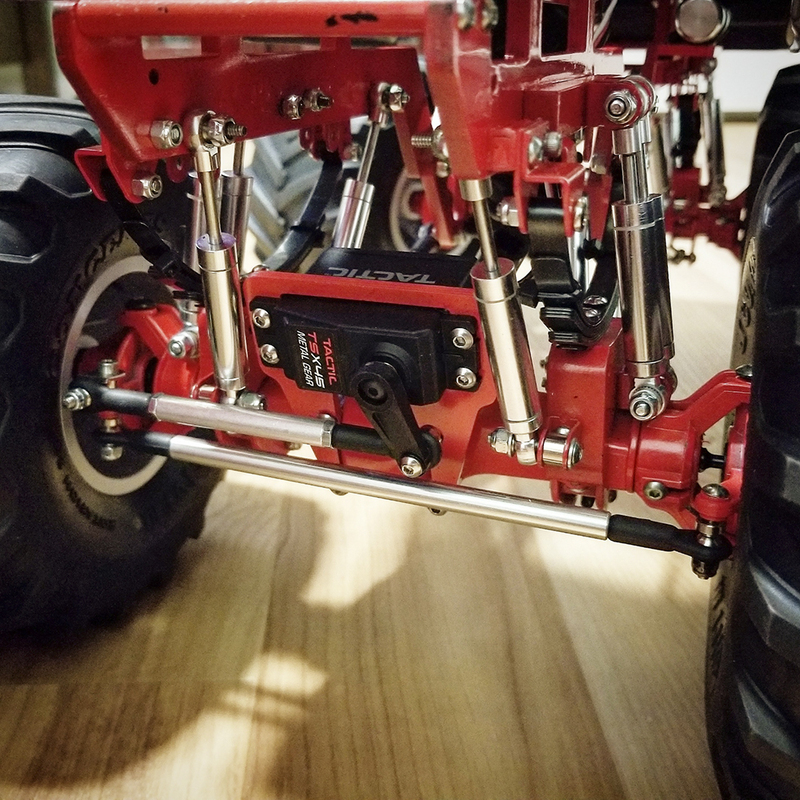 There are 4 shocks at each corner—RC4WD 70mm scale aluminum shocks with internal springs—on shock mounts Blake fabricated himself using brass square tubing. 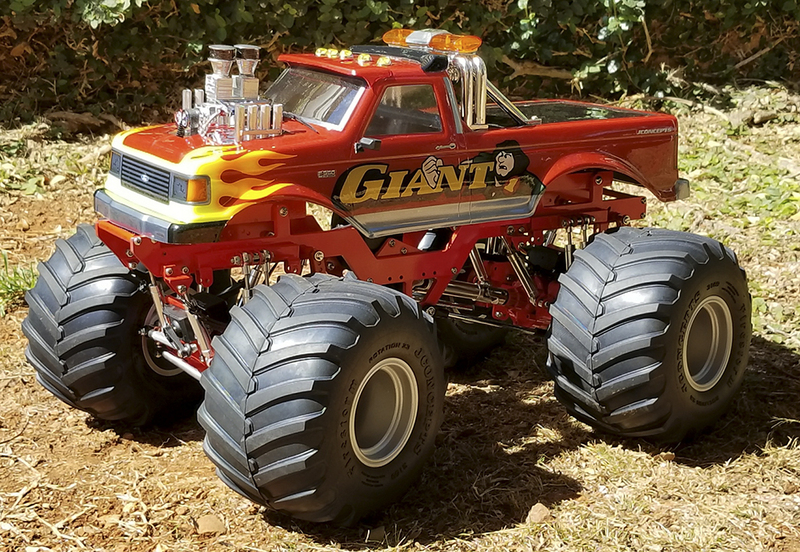 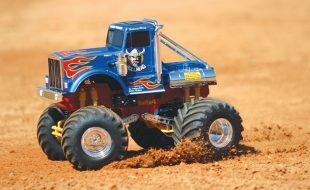 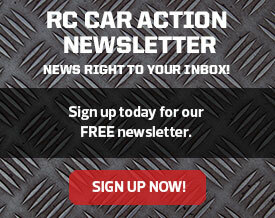 He used Traxxas tie rods for ladder bars and Traxxas drive shafts, while the steering tie rods are CPE aluminum at both ends—the truck is 4-wheel steer. 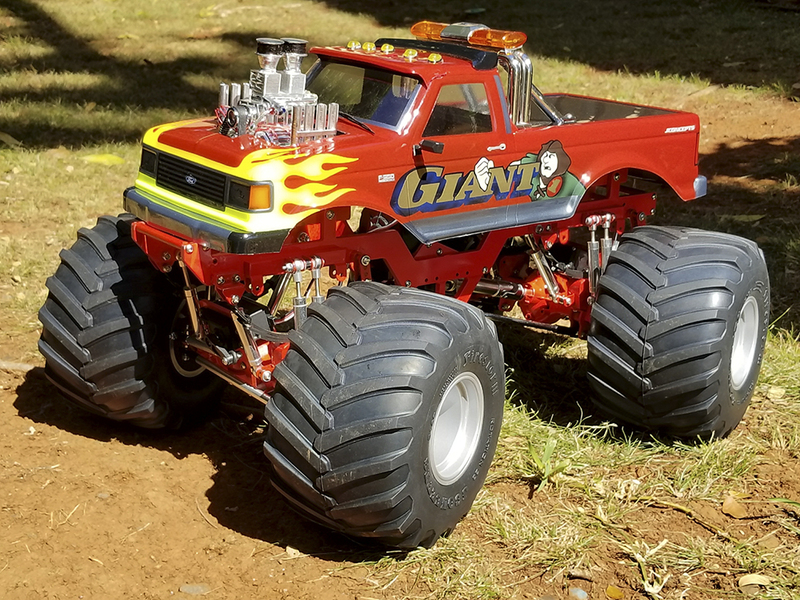 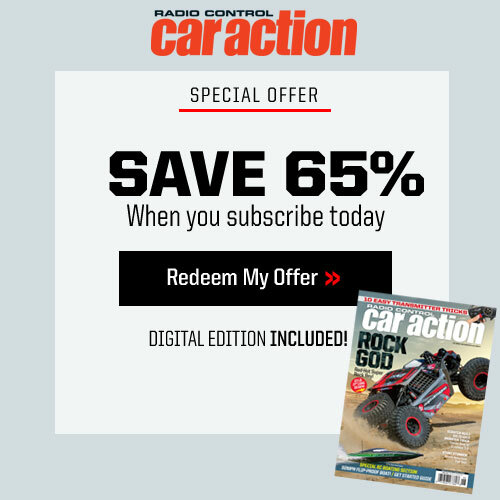 The JConcepts ’89 Ford F-250 body was painted by Kris Norlock at Darkside Designs, and Blake painted the JConcepts Tribute wheels silver before mounting the JConcepts Firestorm tires. 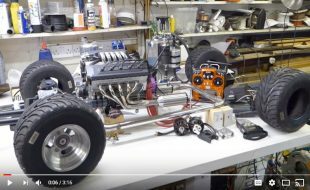 He salvaged the hot rod motor from a Muscle Machines diecast car, and he added roof lights, wipers, side mirrors, and aluminum fuel tanks. 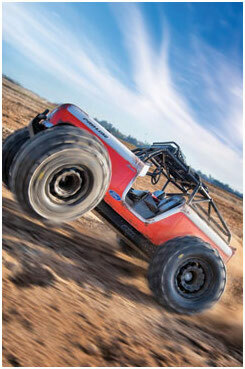 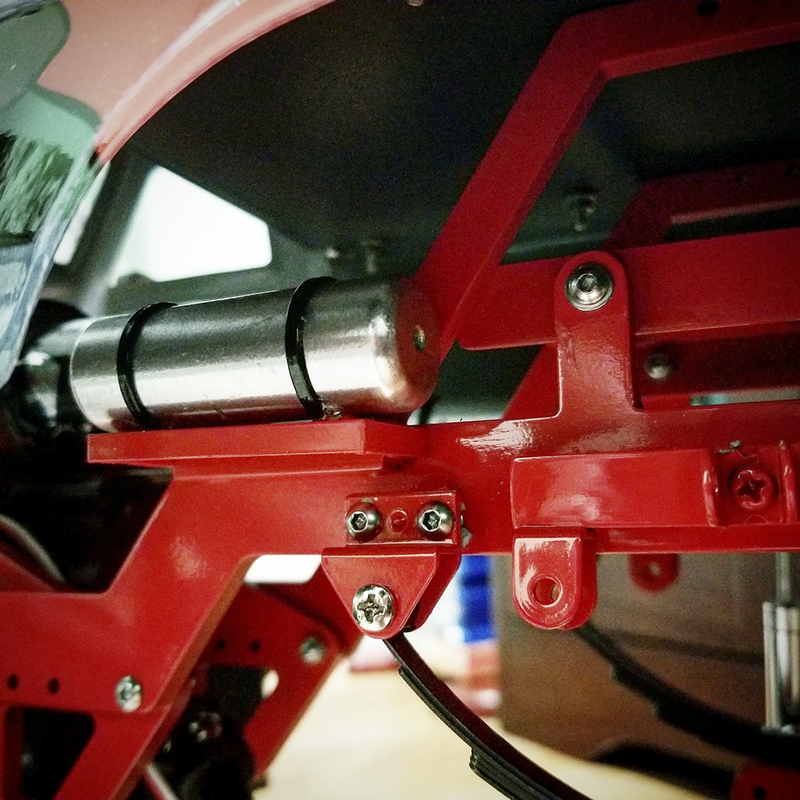 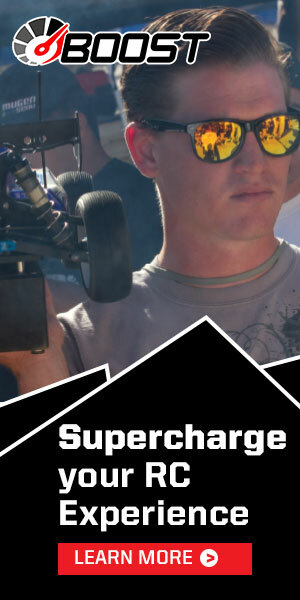 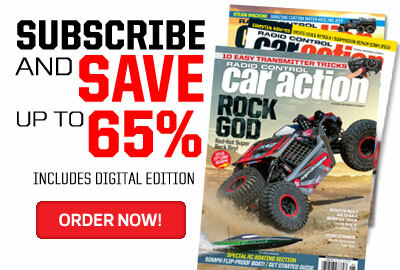 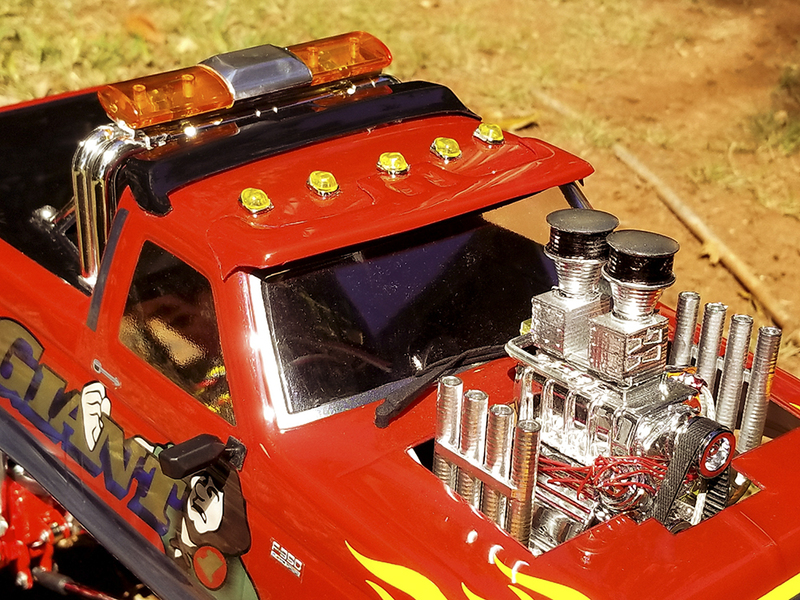 The rig is powered by an HPI Firebolt motor with a Novak Super Rooster controller.